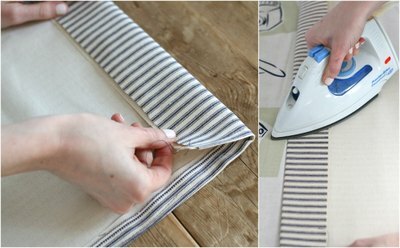 Cut your fabric to size, and then iron each piece to flatten and free from wrinkles. Lay out a single piece of each the utility and muslin fabrics, overlapping one another with right sides facing out. 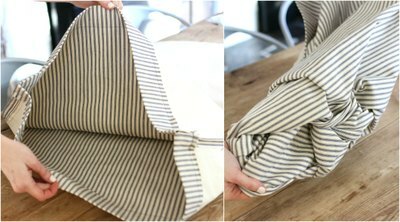 Fold the overlapped pieces of fabric half an inch in from the edge along the two longer sides and one of the shorter sides. Iron the fold in place. 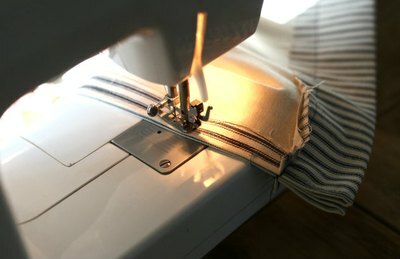 Stitch along the center of all three sides of the folded fabric (leaving the mouth of the bag open), with a quarter-inch seam allowance, before removing pins. 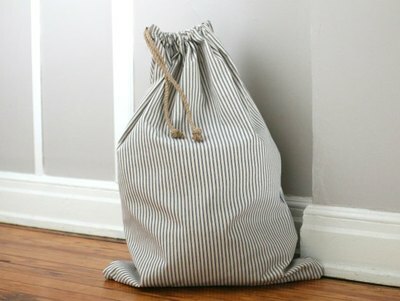 To create the channel for the drawstring bag top, fold and iron 2 inches of the fabric on the remaining, unstitched side. 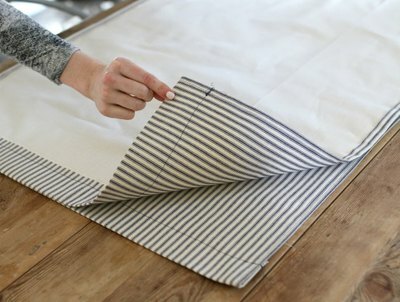 Stitch this fold, leaving a 1½-inch folded border. 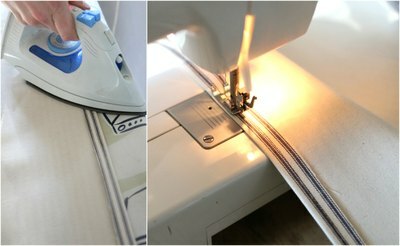 While sewing, backstitch along each side edge for added durability. Repeat steps two through five with the remaining two pieces of patterned and muslin fabric, and then piece both sets of fabric together, right sides facing in. Pin together the three sides surrounding the top channels for added security while sewing if desired. 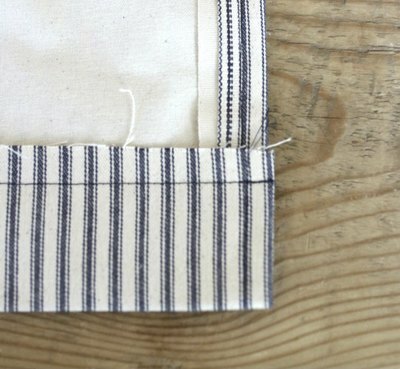 Sew along each of the three sides of the fabric, stopping just below the channel openings. Backstitch at each of the channel points for added durability. 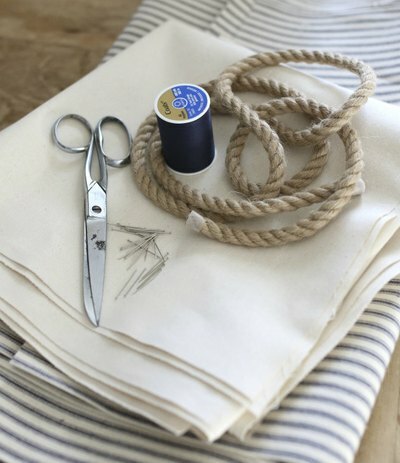 Neatly trim any excess fabric and loose threads along the sides of the bag, and then turn the entire piece right-side out, pressing along each inside corner to give shape to the laundry bag. 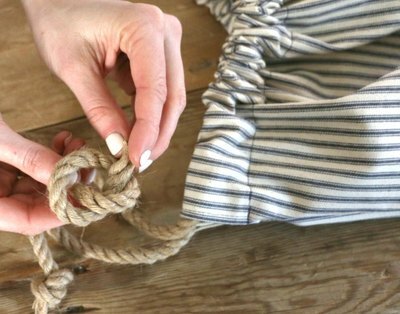 String the jute rope through the top channels of the bag, tying a knot at each end when complete, to prevent it from slipping out. 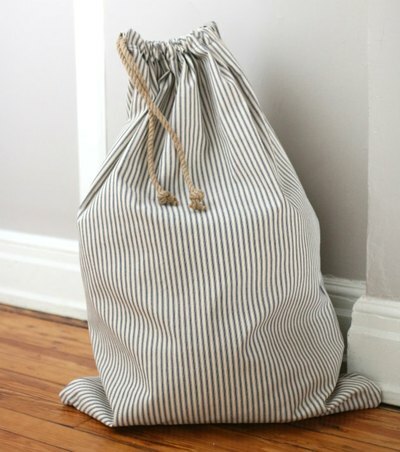 Pull the rope to cinch and close the top of the laundry bag — now it's ready for use.